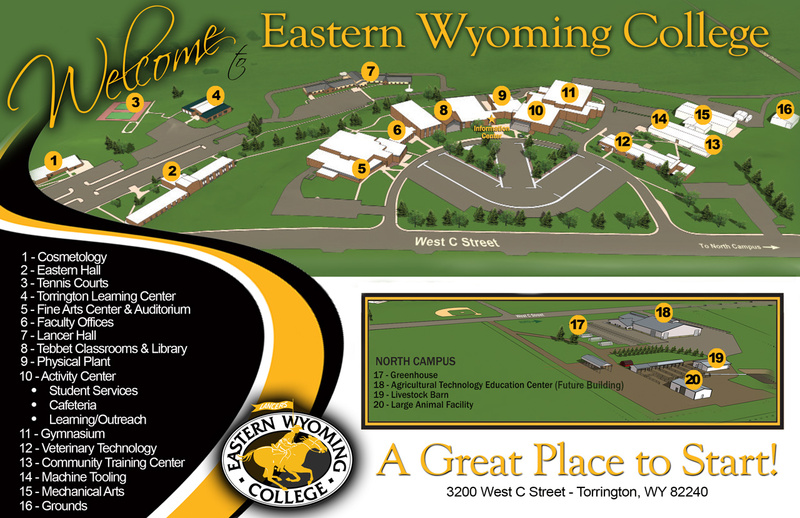 Eastern Wyoming College announced their Top Hand Award winners at their annual Ag and Rodeo Recognition Banquet. The Top Hand Award winners are selected from students majoring in one of 6 Agriculture Degree or the Beef Production Certificate areas. These students must exhibit outstanding performance in academics with excellent citizenship among faculty and their peers, in addition to being involved in campus activities. Each year there are four sophomore and two freshman selected by faculty and staff. The 2010-2011 Eastern Wyoming College Top Hand Award winners are: Justin Briggs, sophomore, Torrington, WY, Ag Business major; Shianna Frye, sophomore, Harrisburg, NE, Farm and Ranch Management major; Jared Schilling, sophomore, Clear Lake, SD, Farm and Ranch Management major; Nick Gompert, sophomore, Mitchell, NE, Rangeland Ecology and Watershed Management major; Drew Applegarth, freshman, Alliance, NE, Farm and Ranch Management major; and Caleb Wiggins, freshman, Bridgeport, NE, Ag Business major. For more information about the agriculture programs at EWC contact Rob Eirich at 307.532.8374 or by e-mail at rob.eirich@ewc.wy.edu.